When it's hot outside and you can't stand the heat, the last thing you would want to do is prepare powdered juices, ice, mixing them up and make a mess on your kitchen. Aside from that, powdered juices seem to have too much sugar in them. No matter how much natural they say they are, it just doesn't feel good and it tastes so artificial. 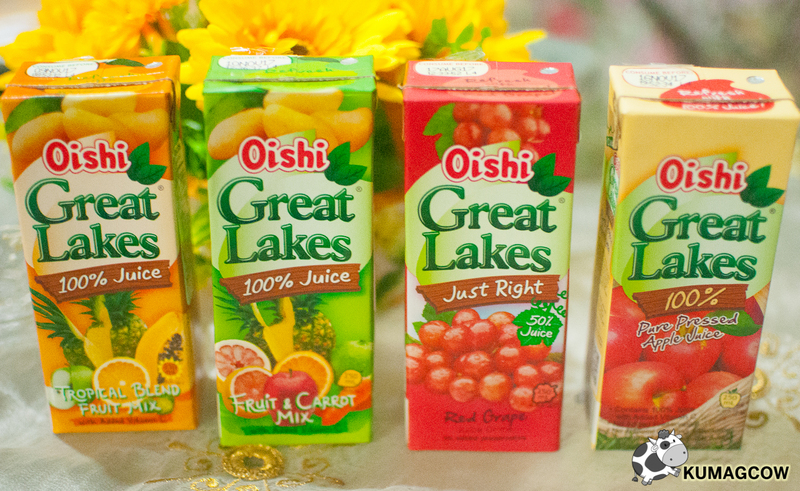 Good thing there's Great Lakes from OISHI! They've got in two sizes, one in the 1 Liter pack (my favorite since I have a big family) and the other in handy dandy 250 ml bricks which you can bring anywhere like school, the office, or the lovely outdoors. 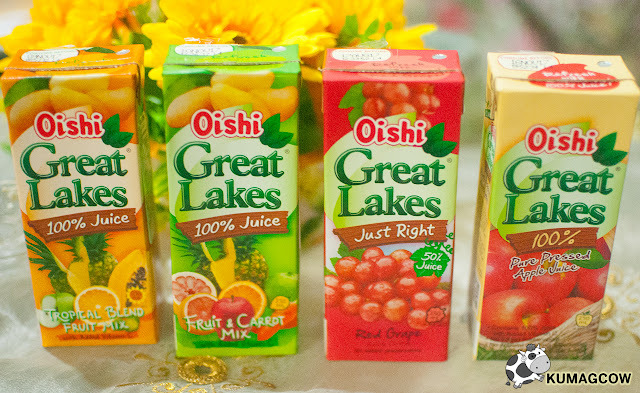 Best of all, these things are all natural, 100% JUICE (except the Red Grape variant because you will get drunk if that is 100% so they kept it at 50% hahah). 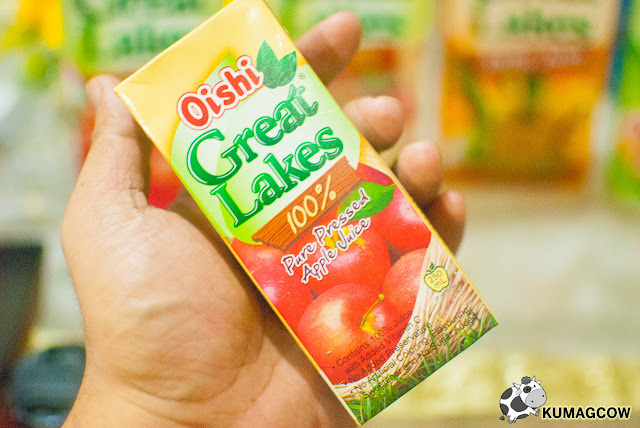 My personal favorite is this Pure Pressed Apple Juice because it's so good and feels like you're just eating apples without the usual fruit pulp. 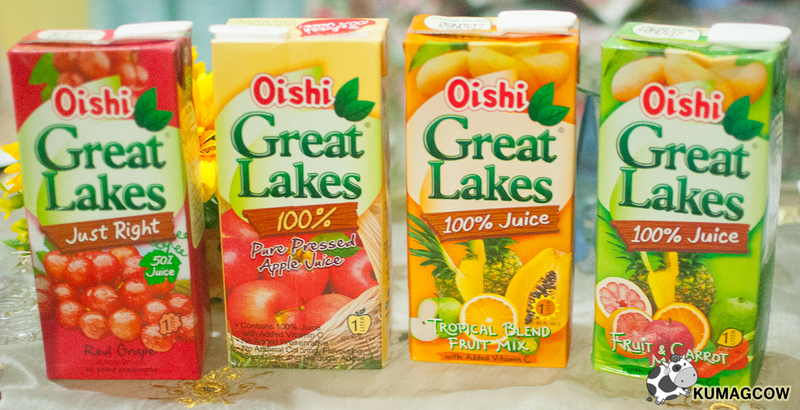 As the name says, it's all natural and has added Vitamin C on all of them. 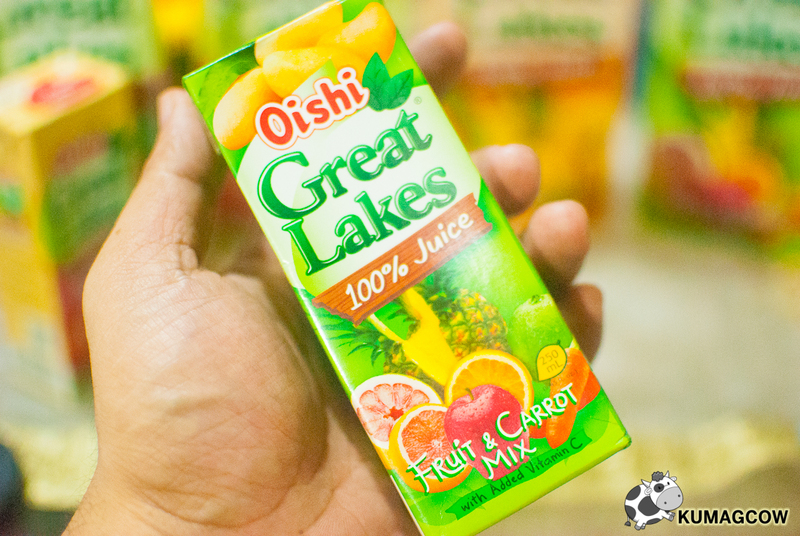 So if you don't want to get sick and need the amount of Vitamin C for today, you know how to get it with one serving of OISHI Great Lakes! Dad loves this a lot because it has several fruits and Carrot which he needs. Carrots are filled with Vitamin A which would be good for the eyes. Add to that the other fruits that are included in this one like Grapefruit, Orange, Pineapple, you've got like a whole bowl of fruit salad in one pack. Isn't that healthy? 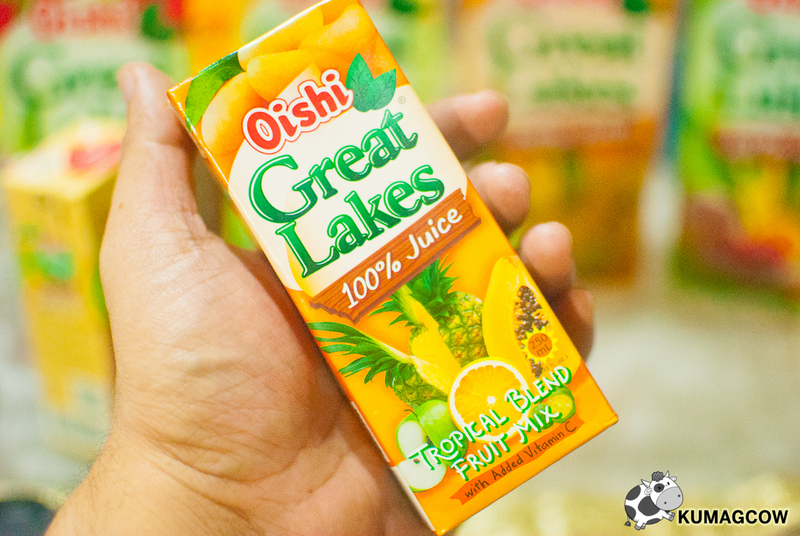 Mom loves this Tropical Blend Fruit Mix because it's got Mango, Papaya, Calamansi, Pineapple and Orange. This doesn't have artificial colors, flavors or sweetener. 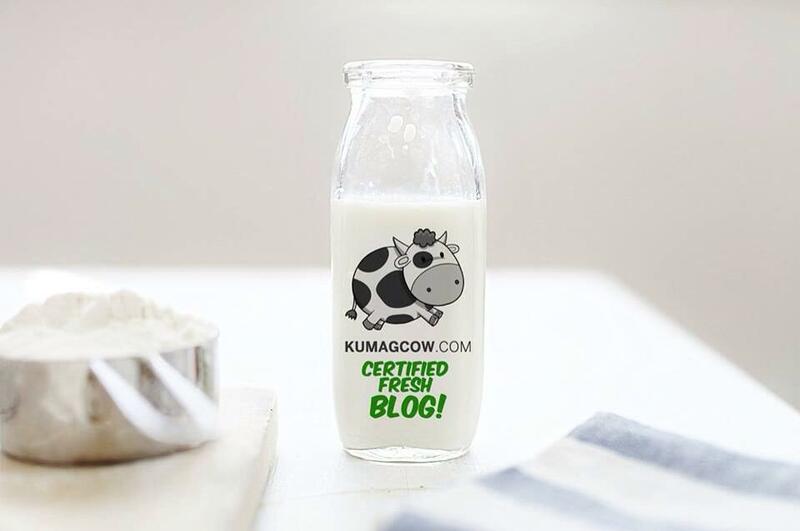 You're assured of a very healthy drink which you need this summer! As if that wasn't good enough, they've got Just Right 50% Red Grape Juice too. I love this because it tastes like the usual real grapes because it is made from real grapes. It's sweet and a little tangy, and I'm sure there's no added preservatives on this one just like the other variants. 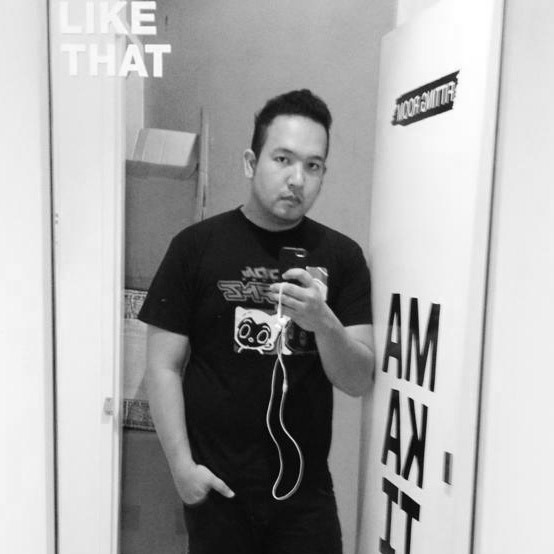 Now you know what's best for you right? Get the brand that's got real juice, no preservatives, no artificial colors and a lot of Vitamin C. That's what you'll get in every pack of Oishi Great Lakes! I'm actually drinking one right now. Just add tons of ice, and we're good to go! 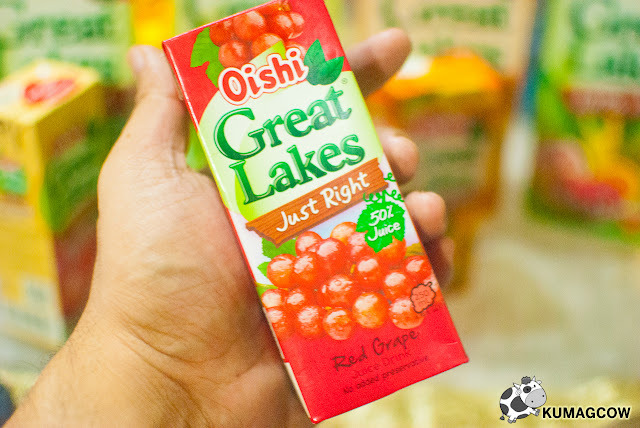 It's available in all leading groceries and stores nationwide!